« The church of green – You have to repent or be forever dammed! 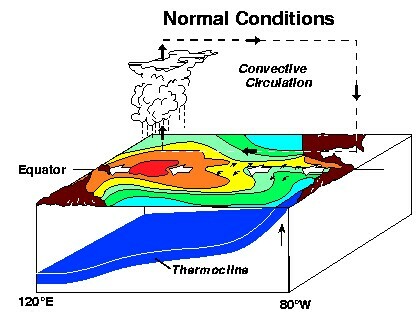 Här kommer ytterligare en intressant studie ” The Spatial Pattern and Mechanisms of Heat-Content Change in the North Atlantic” av M. Susan Lozier,1* Susan Leadbetter,2 Richard G. Williams,2* Vassil Roussenov,2 Mark S. C. Reed,1 Nathan J. Moore1 som publicerades i Science Express i januari i år. Dvs. 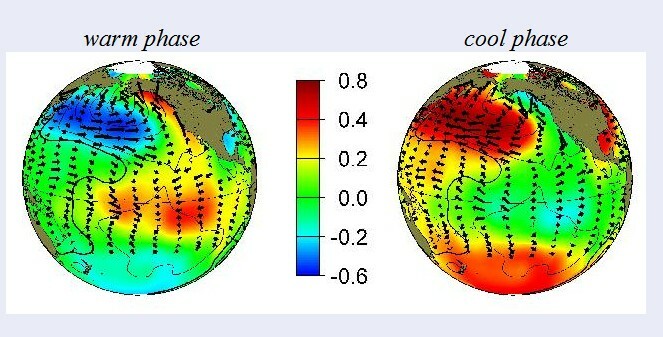 ytterligare ett bevis på vilken lösan sand dessa klimatmodeller är byggda. 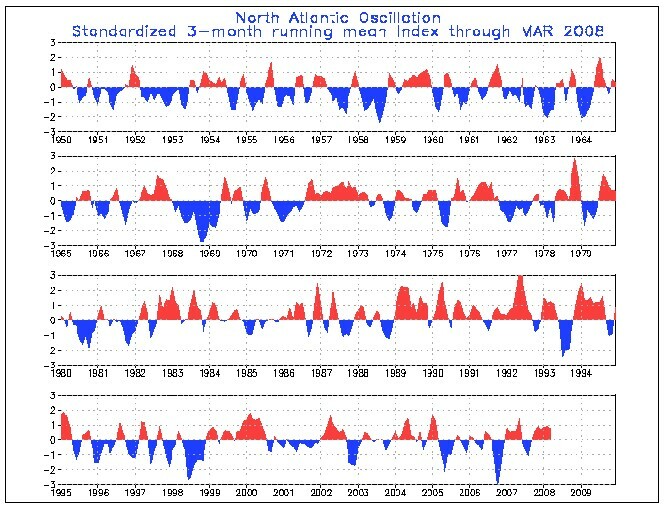 I det här fallet så klarar de inte av att simulera ”the North Atlantic Oscillation (NAO)” och dess verkningar på klimat (och vädret). 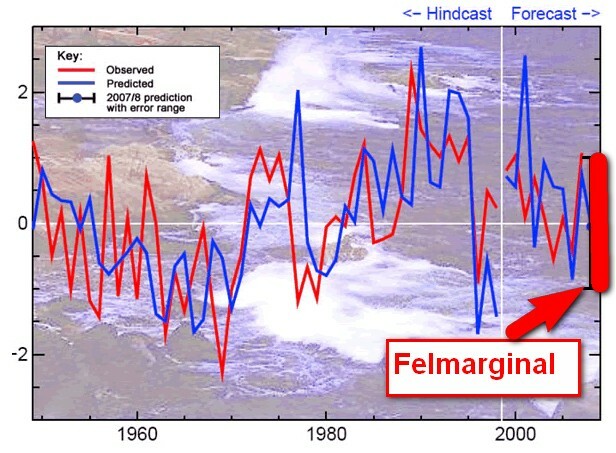 Ej heller kan de simulera det motsvarende fenomenet i Stilla Havet ”The Pacific Decadal Oscillation (PDO)”. För att inte tala om El Niño and La Niña som dessa modeller HELLER INTE KLARAR AV. Både NAO och PDO har en mycket stor påverkan på klimatet i hela jorden. 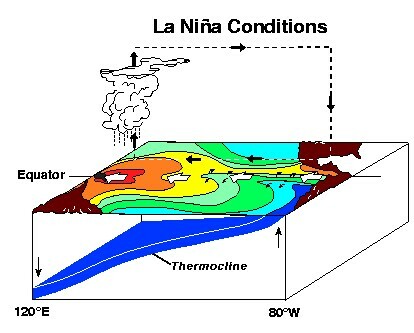 Då bägge kan vara mycket långvariga till skillnad mot El Niño and La Niña som är mera ”kortvariga ” (6-18 månader). Man mäter fasen och amplituden av NAO och PDO genom ett index Man pratar dessutom om ett positivt och negativt NAO index vilket har helt olika effekter på vädret. ALLA dessa viktiga och stora klimatpåverkande fenomen klara dessa avgudade modeller INTE AV att förutse. OCH DET ÄR SAMMA MODELLER SOM MAN VILL FÅ OSS ATT TRO KAN FÖRUTSÄGA TEMPERATUREN OM 100 år PÅ EN TIONDELSGRAD NÄR! Det är alltså resultatet av dess av modeller som IPCC, Al Gore et consortes avgudar och som hela Global Warming Hysterin bygger på. Och där man vill ”offra” större delen av värt ekonomiska välståd på dess altare för att blidka CO2 guden. M. Susan Lozier,1* Susan Leadbetter,2 Richard G. Williams,2* Vassil Roussenov,2 Mark S. C. Reed,1 Nathan J. Moore1 . 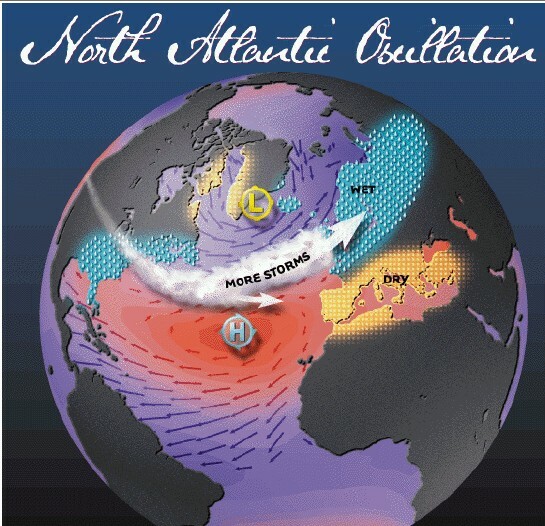 The total heat gained by the North Atlantic Ocean over the past 50 years is equivalent to a basinwide increase in the flux of heat across the ocean surface of 0.4 ± 0.05 watts per square meter. We show, however, that this basin has not warmed uniformly: Although the tropics and subtropics have warmed, the subpolar ocean has cooled. These regional differences require local surface heat flux changes (±4 watts per square meter) much larger than the basinwide average. 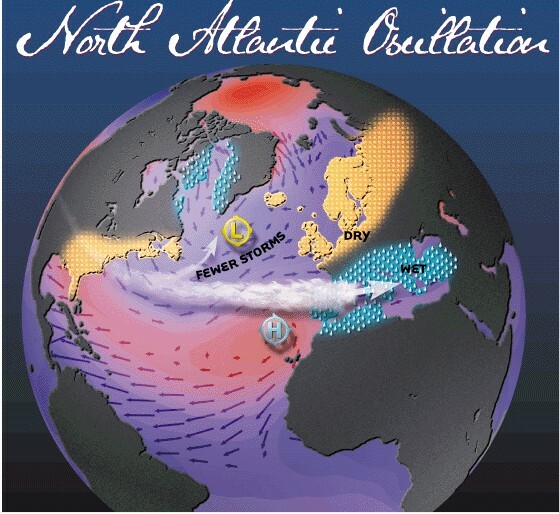 Model investigations show that these regional differences can be explained by large-scale, decadal variability in wind and buoyancy forcing as measured by the North Atlantic Oscillation index. 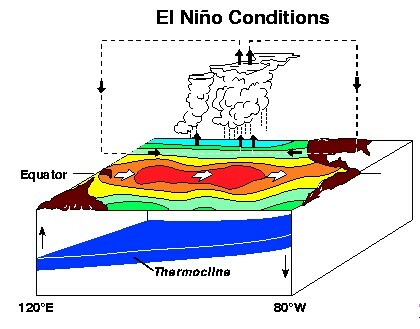 Whether the overall heat gain is due to anthropogenic warming is difficult to confirm because strong natural variability in this ocean basin is potentially masking such input at the present time. Present address: Department of Geography, Michigan State University, East Lansing, MI 48823, USA. Honest Statement Of Current Capability In Climate Forecasts, Tropical Water Vapor and Cloud Feedbacks in Climate Models, Basic Greenhouse Equations ”Totally Wrong” – ytterligare ett anförande från konferensen i New York, Hey, Nobel Prize Winners, Answer Me This, The Sloppy Science of Global Warming!, ROBUSTNESS AND UNCERTAINTIES OF CLIMATE CHANGE PREDICTIONS, Has the IPCC inflated the feedback factor?, Climate change confirmed but global warming is cancelled, Why multiple climate model agreement is not that exciting!, Open letter to IPCC to renounce its current policy!, Average Day By Day Variations Of The Global And Hemispheric Average Lower Tropospheric Temperatures, Scientists Reveal Presence Of Ocean Current ‘Stripes’, Cold in the tropical troposphere but it should be warming if Global Warming ”theories” are correct!, Assessment of the reliability of climate predictions based on comparisons with historical time series, Mera om Klimat modellernas falsarium, Klimatmodellernas falsarium, Klimatmodellernas skojeri – Fel på 100 – 300%! This entry was posted on 20 maj, 2008 at 9:47 e m and is filed under Miljö - Environment. You can follow any responses to this entry through the RSS 2.0 feed. You can leave a response, or trackback from your own site.